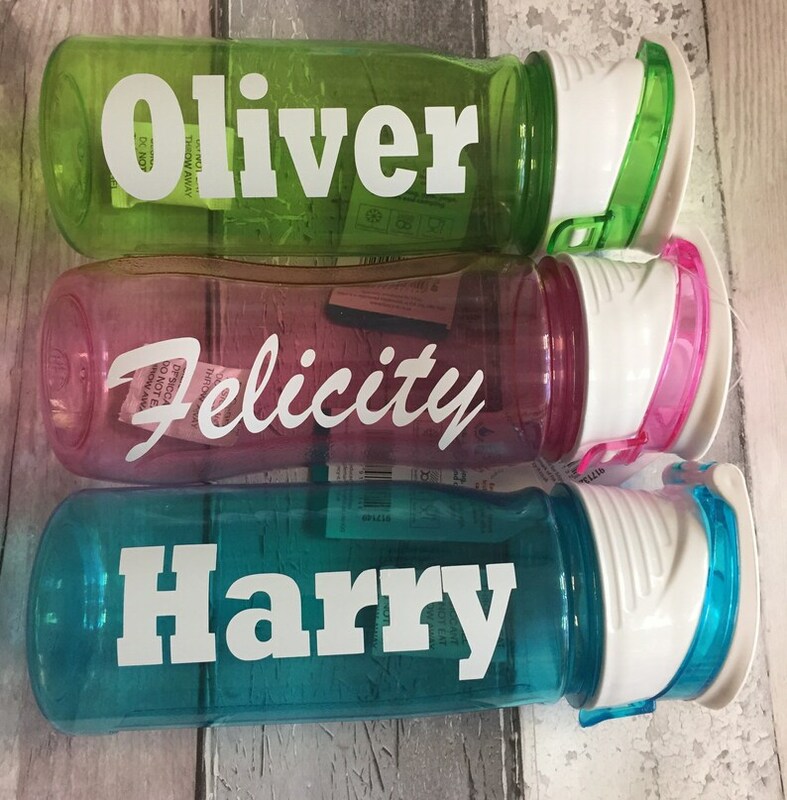 These quality plastic bottles are personalised with white vinyl. All names available. Message name(s) at time of ordering or after. Great for presents and teacher gifts. These can be hand washed. Some buyers have said that these are fine to be put in the dishwasher too but we can not recommend. These make excellent alternatives to party bags at a great affordable price! Message us for discounts on bulk quantities. Would definitely buy from this person again ! These were fantastic little bottles, I would definitely buy again.